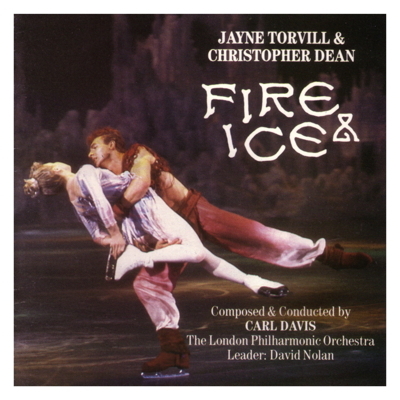 Christopher Dean as the Fire Prince is transported through flames into the frozen world of Jayne Torvill's Ice Princess. They are elemental opposites - eternally incompatible yet irresistibly drawn towards each other by a fatal fascination. Christopher Dean slips and slides his way through the comic but painful experience of learning how to skate for the first time, before coming to the exciting realisation that he can now dance on ice. The couple express and explore a growing, but forbidden love that threatens to destroy both them and the worlds from which they come. As their passion mounts so too does the alarm and anger of the people of the Fire and Ice kingdoms. Fire & Ice is Torvill and Dean's most ambitious project yet in an 11-year partnership which has made them European, World and Olympic Champions. This one-hour fantasy was conceived especially for television and is the first production to feature skaters and dancers in the same arena. The newly commissioned score is composed & conducted by Carl Davis and played by the London Philharmonic Orchestra, leader David Nolan.